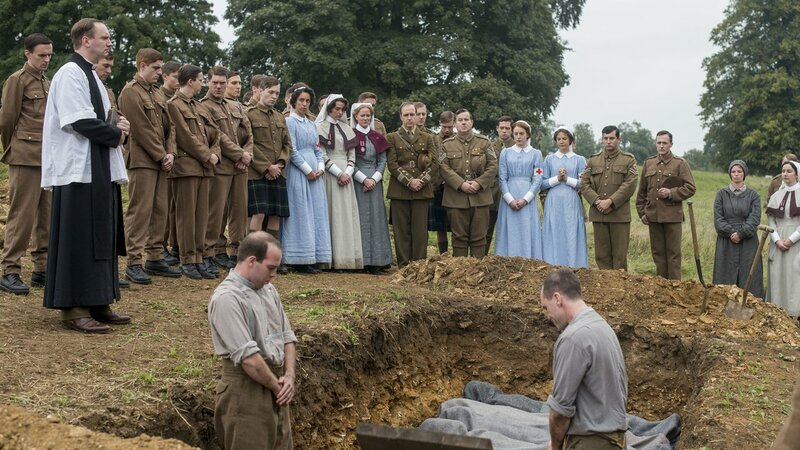 "The Crimson Field" re-aired November 2017. 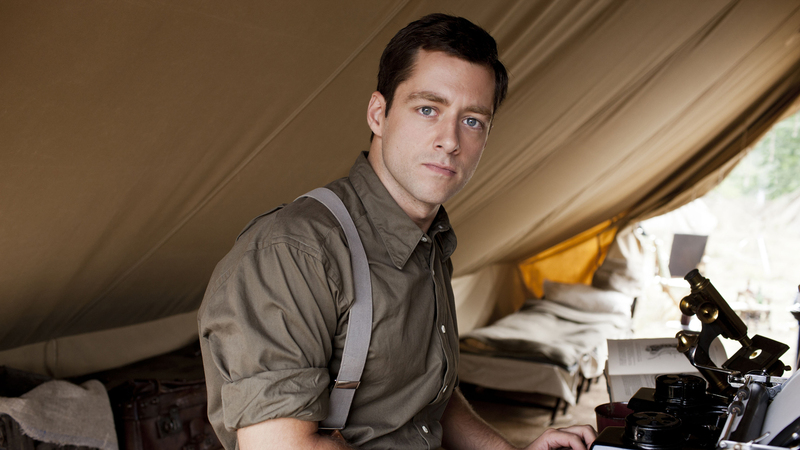 Follow the dramatic lives of WWI frontline medics as they heal the wounded. 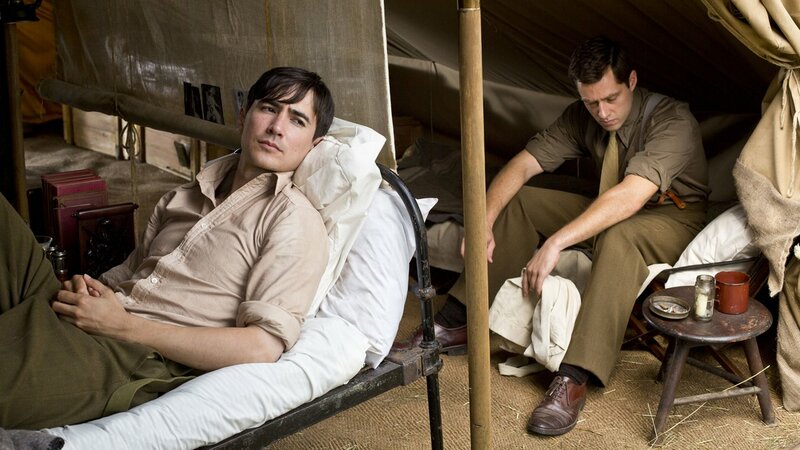 More Video from "The Crimson Field"
In a tented field hospital on the coast of France, a team of doctors, nurses and women volunteers work together to heal the bodies and souls of men wounded in the trenches. 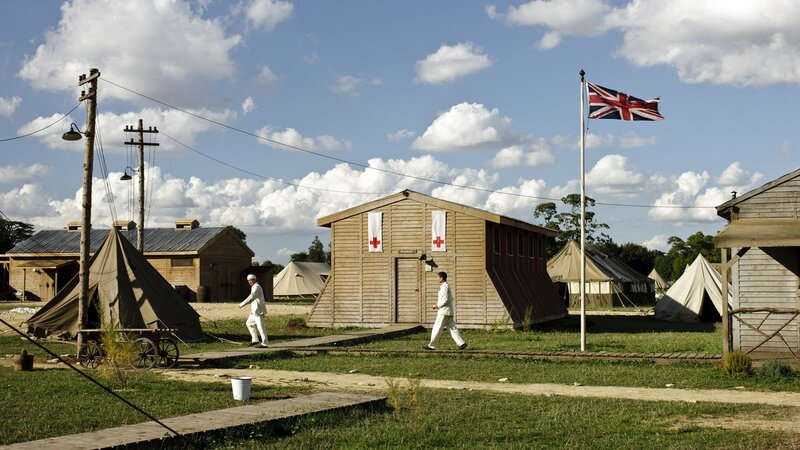 The hospital is a frontier: between the battlefield and homefront, but also between the old rules, hierarchies, class distinctions and a new way of thinking. 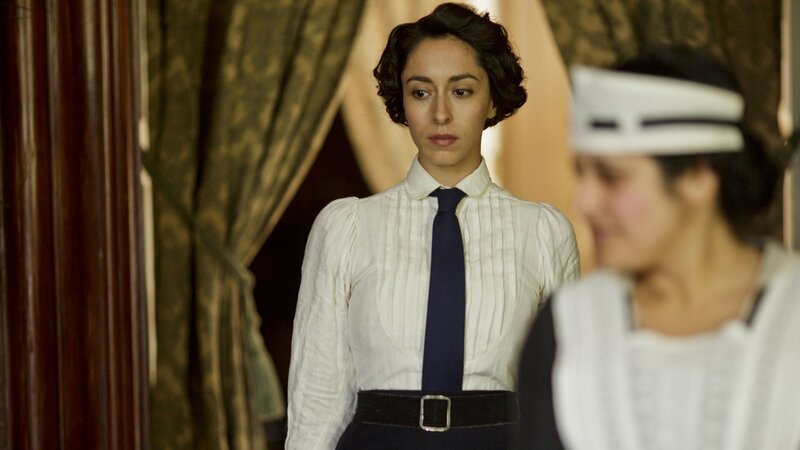 Kitty (Oona Chaplin), Rosalie (Marianne Oldham) and Flora (Alice St Clair) arrive as the hospital’s first volunteer nurses and struggle to be accepted by the established medical team. The girls are flung head first into a world for which nothing and nobody could have prepared them, but it is also an opportunity to break free of the constraints and limitations of their lives back home. 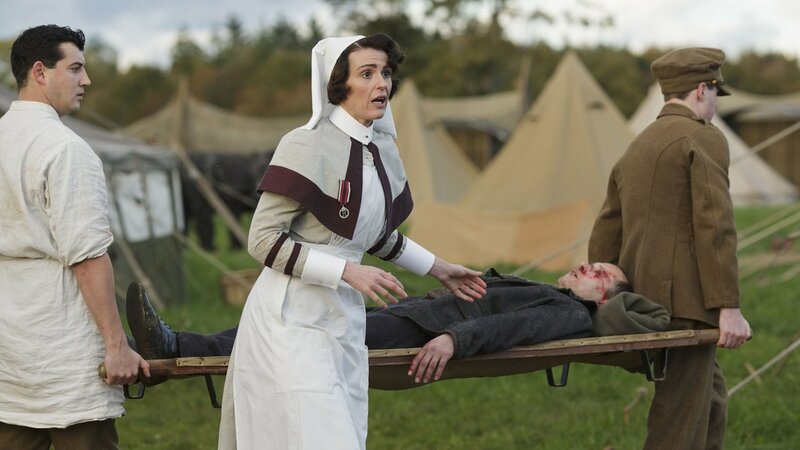 Sarah Phelps, one of British television’s most exciting and original writers, tells this story of World War One’s front line medics — their hopes, fears, triumphs and tragedies. 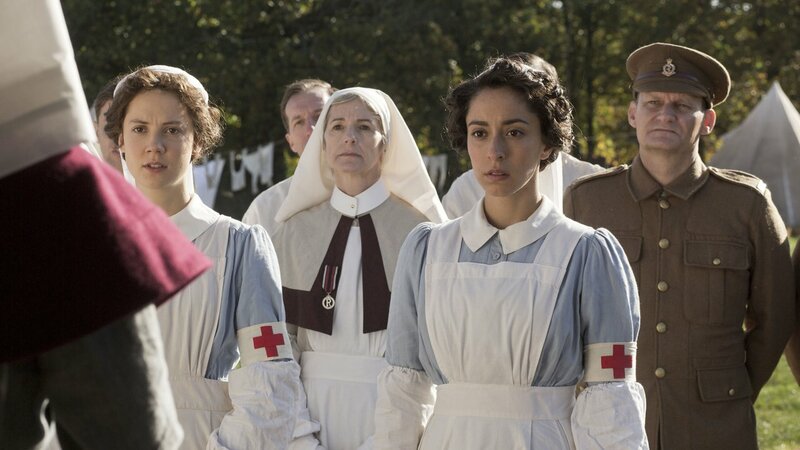 A Closer Look at "The Crimson Field"
In the first episode, Kitty Trevelyan tries to put the troubles of her past behind her as she joins two other girls, Flora Marshall and Rosalie Berwick, to volunteer at one of the busiest war hospitals in Northern France. For the hospital workers, it’s a daily battle to patch the men up and keep the war machine churning. Staff numbers are low and the volunteers are desperately needed, yet there are some who see these women as a threat. 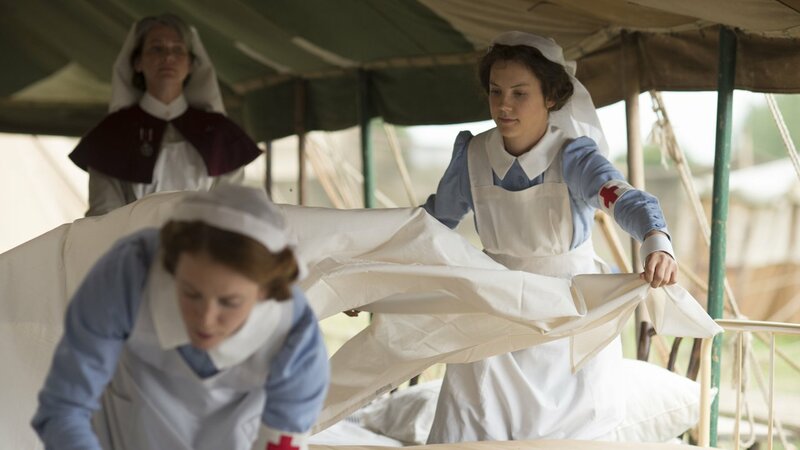 As the volunteer nurses settle into their first day, it soon becomes clear that no training could have prepared them for the reality of working near the Front Line. Before the day ends, the hospital sees the arrival of Sister Joan Livesey, but it remains to be seen whether her modern approach will be welcomed. The volunteer nurses settle into life at the hospital. Despite struggling with some personal problems, Kitty throws herself into her work, helping new patients Major Crecy and Private Byeford. Crecy awakens from the brink of death to find his troops have been decimated. Traumatised by war Crecy fears he will never be able to return to his old life. Beside Crecy lies Private Shoemaker and his Jamaican father who grapples with the heart-breaking reality that his son who defied the odds by enlisting may soon pay the ultimate price. Meanwhile, the hospital readies for a convoy of new patients. 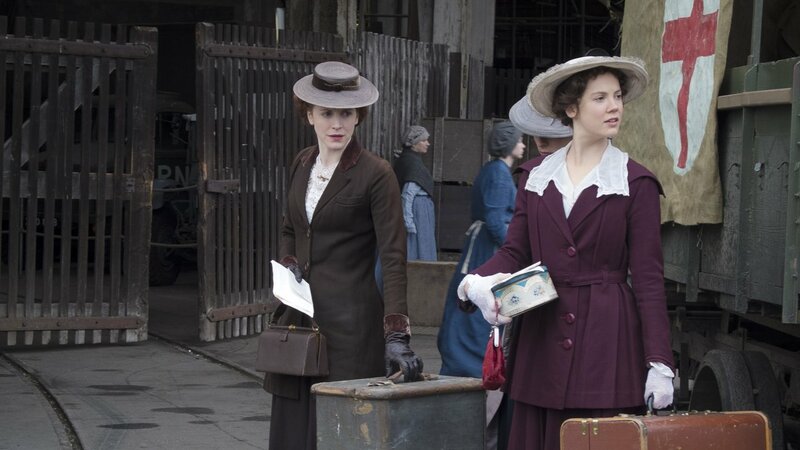 With resources stretched, Joan views it as a chance for the volunteers’ skills to be put to good use, but Margaret doesn’t think they are ready to take on these new responsibilities. Will the girls live up to Joan’s expectations? 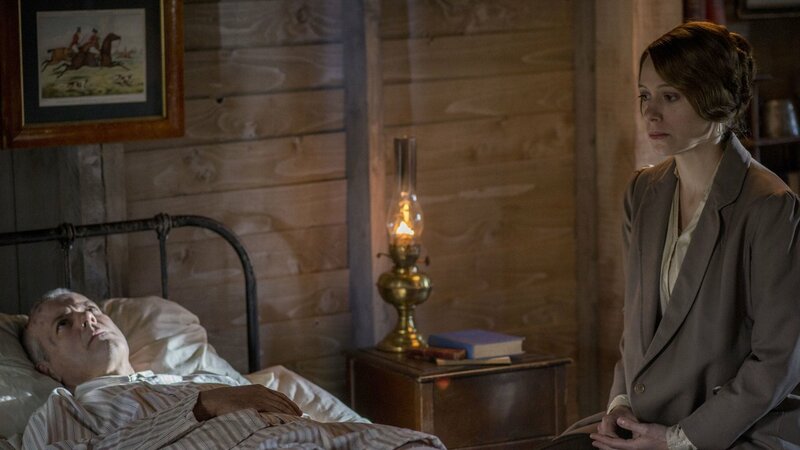 Thomas wrestles with a growing attraction to Kitty, and Joan reveals a dark secret to one of her patients. While Thomas may not be prevailing with Kitty, he is having success on the wards with a pioneering wound irrigation system. Thomas’s test subject is doing well, but a fellow surgeon of the old-school, Major Yelland, is dismissive of his techniques. 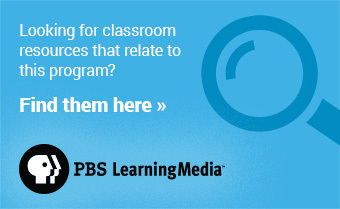 Will Miles be able to placate his increasingly riled friend? A terrified patient faces court martial. There’s little anyone can do, and yet, his presence unnerves the staff and patients, a constant reminder of the perils of overstepping the rules. This warning is particularly pertinent for some, as a proud Irish non-commissioned officer faces rebellion from his young protégé. As the hospital staff gather at a funeral for some of the patients, Joan is in agony not knowing whether her fiancé is alive or dead. Rosalie has seen Joan's ring and now watches her intently. Is the truth about to come to light? 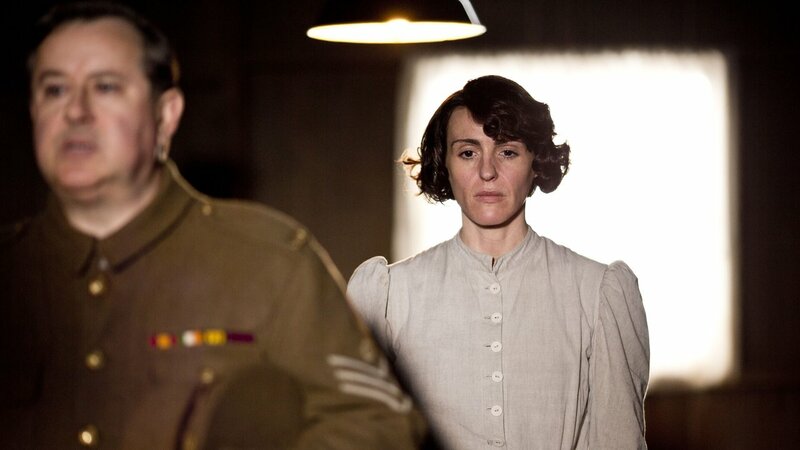 Joan’s spirits are lifted by the arrival of 13 Tommies from her home town of Liverpool — known as "The Lucky 13." However, Joan discovers that one of them is much sicker than she thought, and finds herself the victim of blackmail. Thomas seizes his opportunity to pursue Kitty, but when she gets a shocking summons to meet with a mysterious figure from home, it’s Miles who comes to her aid. Will Kitty face up to her past, and where will that leave her budding romance with Thomas? It seems Colonel Ballard would rather be with his men than at rest within the calm sanctuary of the wards. Yet, when Grace reveals knowledge of Punjabi and an upbringing in India, the Colonel is temporarily calmed. 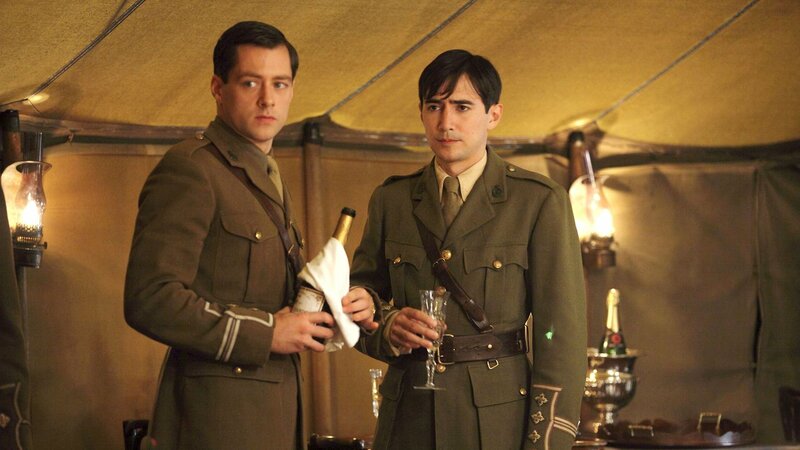 As Grace tries to discover what’s made him so heated, another soldier, Private Gorman, seems focused on riling him further. Will Grace be able to unlock Ballard’s secret before Gorman provokes him into a very dangerous game? Flora decides the volunteers should put on some entertainment to raise spirits, but as the pressure mounts, so do Flora’s nerves. MeanwhileJoan is still waiting for news from her fiancé, and Jaco calls her to an illicit meeting, sparking a series of events which draws Joan into danger, risking her profession and potentially her life. Joan is hauled up on a charge of aiding the enemy and faces a possible lifetime in prison, and her actions send ripples through the hospital. Kitty’s wracked with guilt that she knew about Joan but didn’t stop her. She’s desperate for someone to trust, but will she turn to Thomas or Miles? 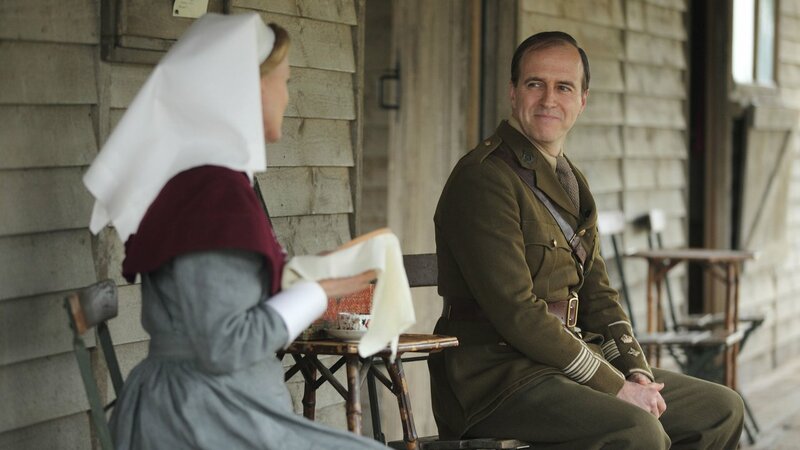 Elsewhere, Flora discovers Peter’s brother, Jimmy, on one of the wards and happily reunites the siblings, but when it becomes clear that Jimmy is scared of war, Peter has a difficult decision to make. Rosalie, too, is feeling conflicted, unsure how to deal with her discovery of Kitty’s divorce. As night falls some rules will be broken, others upheld and as the war machine grinds on faith, hope and love are put to the test. Read about the doctors, nurses and women volunteers who work together at the field hospital. 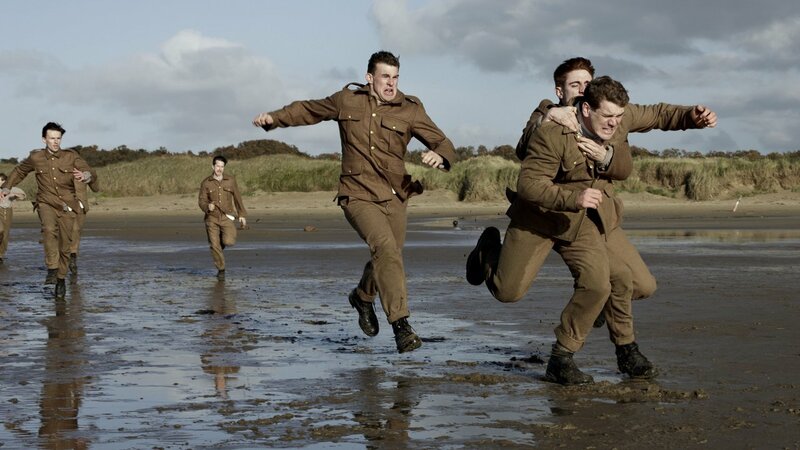 "The Crimson Field" was produced by Endemol Worldwide and BBC.